This year Country Life have teamed up again with Dogs Trust helping 12 dogs find loving new homes in the run up to Christmas. First up is beautiful springer spaniel, Patrick. Thanks to the success of our previous dog rehoming series’ on the Country Life website, we are absolutely thrilled to team up with Dogs Trust again this year to do all we can to find new homes and loving families for these deserving dogs. The first of 2014’s 12 Dogs of Christmas is the lovely Patrick, an affectionate six year old springer spaniel. Patrick loves to play and although he would enjoy an active lifestyle, he’s looking for a fairly quiet home with a family who can take the time to settle him in. Dogs Trust Harefield say, ‘Patrick is a lovely boy. He’s had a hard start to life as he was thrown out onto the street by his previous owners. Patrick would prefer an adult-only home or one with children over 16. We would love to see Patrick settled in a new cosy home very soon. 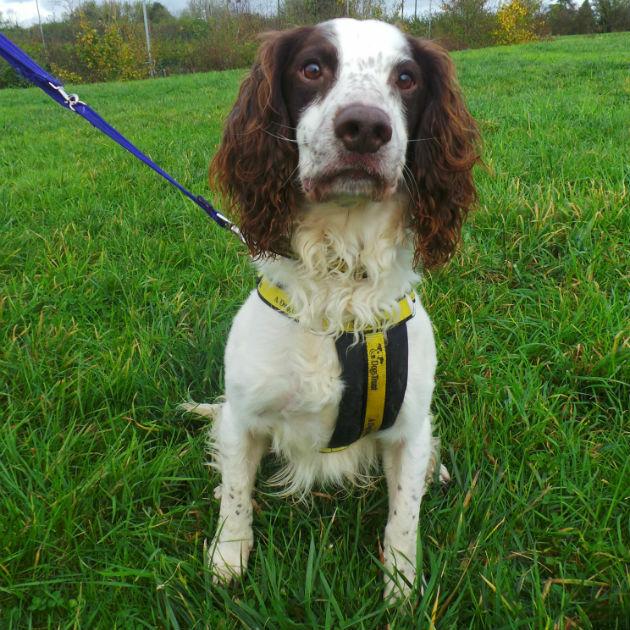 If you think that the beautiful Patrick could be the dog for you please get in touch with Dogs Trust Harefield on 01895 453 930 or visit them at Highway Farm, Harvil Road, Harefield, Uxbridge, UB9 6JW.